The only travel platform that totally automates lodging for your events and allows you to earn up to 7% - no contracts, no fees. You get a webpage that lists all of your events in one place. Each event has a button that says "Browse Hotels Near". When your customers click it, it shows hotels closest to the event venue and pull rates from all the top sites so they find the lowest possible price. Best part is, you earn up to 7% on every booking made. What does an event page look like? 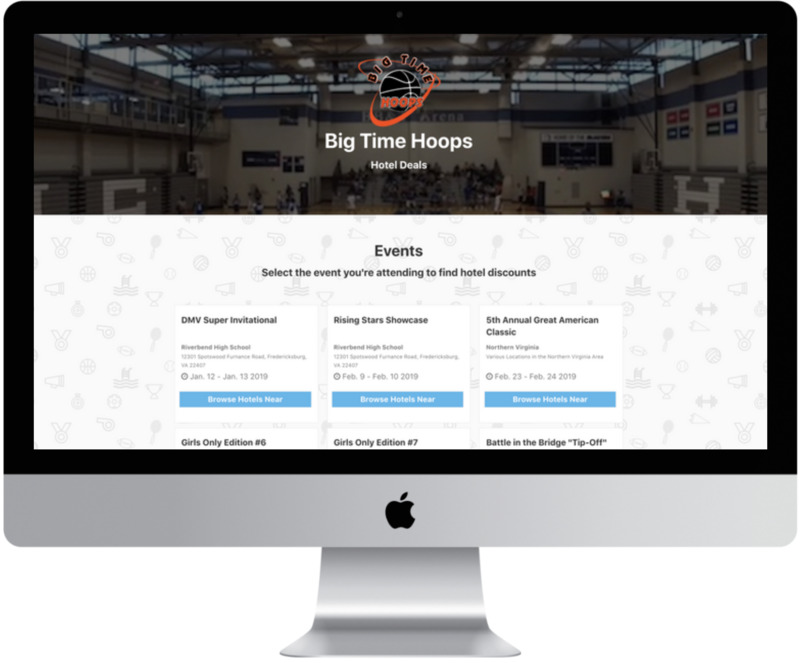 Click on the button below to see what your event page would look like. How does the Lucid search box work? Lucid's search box pulls in rates from 3rd party travel sites (Ex: Priceline, Hotels.com, Expedia) and direct rates so you're getting the lowest possible price. On top of that, you earn up to 7% cash back on every booking made using your Team Page. What if we set up room blocks? All you do is fill out a request form (Here It Is) that's automatically sent to all the hotels near your event. After that, you just sit back as discounted, group bids come directly into your email inbox. The best part is, you can still talk with the hotel manager and even pay them directly. You get to define exactly how much you make per room and we add it to your event page so that your travelers have no problem finding it. Can We choose which rates we show? Yes, you are in total control of what kind of rates are on your university page. - It’s NOT prepaid - so card isn’t charged until the group arrives at the hotel. How do we receive our cash back? Payments are payable upon request (We can also set up payments on a continuous basis automatically if volume is high). Does Lucid cost money to use? No, Lucid is 100% free for university staff and teams. There are no installation fees or monthly fees and there's no obligation (meaning we do not put limits on how much you have to spend to use Lucid). Does Lucid Require You Sign A Contact? No, there are no obligations or contracts required to work with Lucid. We do not require you commit to a certain amount of bookings or time to use Lucid Travel. You can stop working with us at any time for any reason.